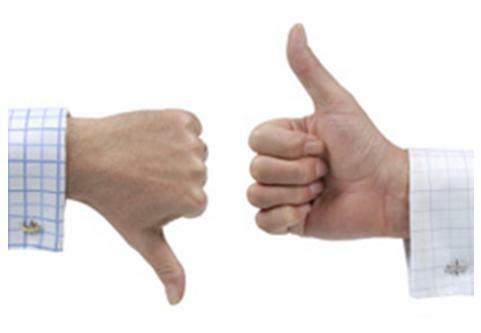 With most e-liquid reviews, the discussion centers around the flavors themselves. After all, the taste of the juice is what really matters, right? If that’s all that matters to you, feel free to skip down to The Flavors section of this review. 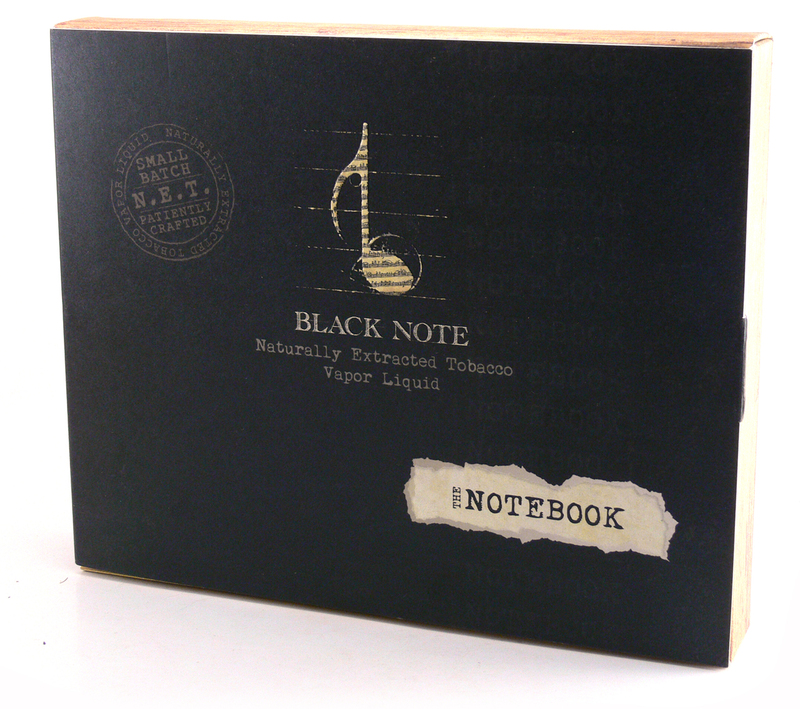 In the case of Black Note Naturally Extracted Tobacco (N.E.T.) liguids, though, it’s worth it to take a little time to look at the company and what goes into making that e-liquid. Unlike most e-liquids that are mixed using concentrated flavorings, Black Note e-liquid is extracted from real tobacco leaves. They say they put a lot of care into the growing and preparation of the tobacco and I think it shows. As if to further emphasize the importance of the tobacco, that is all this line is comprised of. No bubblegum or fruity drink flavors here, just pure tobacco goodness in eight varieties. Along with the focus on tobacco flavored e-liquid, the rest of Black Note’s branding revolves around a musical theme. As they put it, their product can be compared to the pure experience of a good musical instrument. This musical theme pervades their branding, from the logo to the names of the flavors. Whatever the thought behind the theme, it works, from the web site to the bottle wrappers and boxes, it’s obvious that a lot of time was put into getting the marketing just right. The collection of all eight varieties in the “Notebook” is especially impressive, as it comes with 7.5ml bottles securely held in what appears to be a custom designed shell with individual Cutouts for each dropper bottle. Before you even see that, though, you are presented with a full sized sheet that fully illustrates the extraction process. Bottles also carry on the design theme inherent in all of Black Note’s marketing. Each label is custom printed with the strength and batch number along with the flavor details. 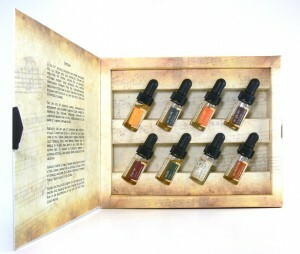 The 30ml glass dropper bottles come in a protective cardboard tube. A somewhat unique feature is that each label can be customized by writing whatever you want in a form when ordering. It would make a great personalized gift. I’ve spent a lot of time describing the marketing of Black Note e-liquid and I hope I haven’t given the impression that that’s all there is to it. The marketing is top-notch, but the e-liquid would be exceptional even if it came from a plastic squeeze bottle. As I mentioned earlier, an 8 step process takes place before a Black Note e-liquid ever reaches the bottle. You can take a look at the extraction process on the Black Note site, but suffice it to say that they spend a lot of time selecting and curing the tobacco that makes these juices good. 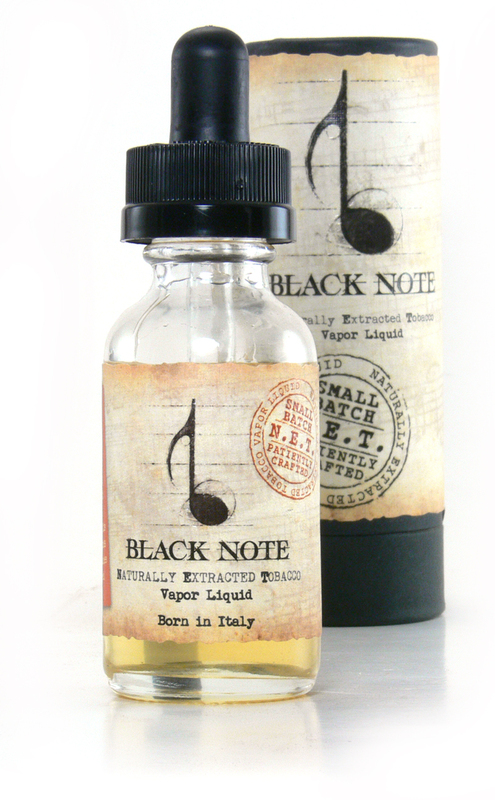 The folks at Black Note are understandably proud of the fact that the liquid is extracted from real tobacco. Perhaps even more important is the fact that there are no artificial flavors or chemical additives in it. To back this up, the liquid has been tested by an independent lab, with the results available for download. 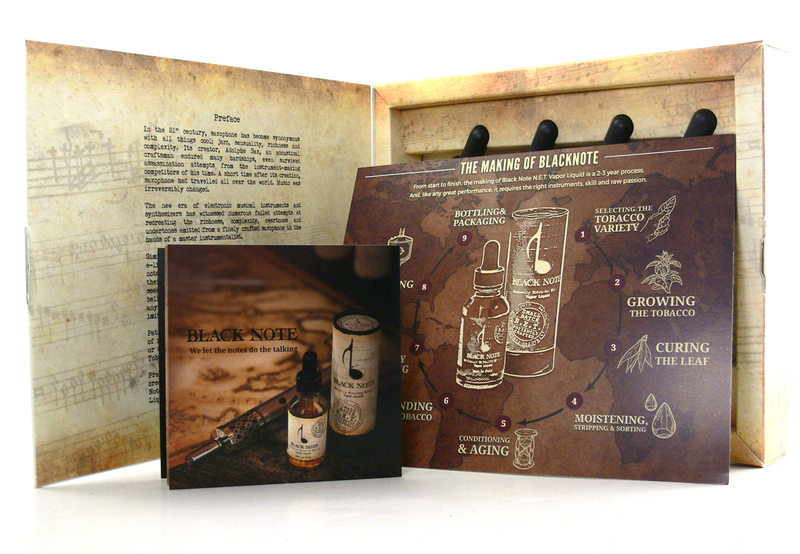 Black Note claims to be the first and only lab certified naturally extracted tobacco e-liquid. All of the e-liquids I sampled were clear and clean tasting. One of the most interesting things I first noticed about this e-liquid is that it has almost no odor right out of the bottle. I suppose this also has to do with the lack of artificial flavorings. A typical freshly opened e-liquid is often capable of filling the room with its scent. Not so with Black Note liquids. In fact, they smell more like unflavored nicotine than a ready to vape e-liquid. Don’t let that fool you, the flavors are excellent and some of them are quite rich and powerful. The Black Note e-liquids come in a variety of strengths from 0 to 24mg, and all come in a 50/50 PG/VG ratio. It seems like a perfect ratio and delivers quite a lot of vapor and the exhale aroma is a real treat on most of them. That throat hit is of particular note. All of the Black Note flavors delivered quite a satisfying hit, somewhat more than I would expect from a 50/50 mix at my preferred 6mg strength. The combination of excellent throat hit and straight up tobacco flavors create an experience that could be particularly satisfying for recent smokers. Full on Virginia is how I would describe Prelude. It’s a delicious sweet vape that’s extremely mild on the inhale. Although it lives up to its “light, bright taste” billing, it still packs a good throat hit, and the real treat is on the exhale. The resulting vapor has a wonderful smoky aroma to it that is probably a testament to the real tobacco origins. Described as a Cavendish blend of fire cured dark virginia tobacco, Sonata is sweet and just a little pungent. There are definite Virginia Tobacco overtones, but it’s a darker and richer flavor than Prelude. There is a sweetness to Sonata that is difficult to define and it doesn’t detract from the tobacco at its core. The exhale is complex as well, with a pleasant woody component that enhances a smoky aroma. This flavor seems to distance itself a bit from the burning tobacco similarity that the others have and steers into a richer, sweeter territory that is more often found in vapor. 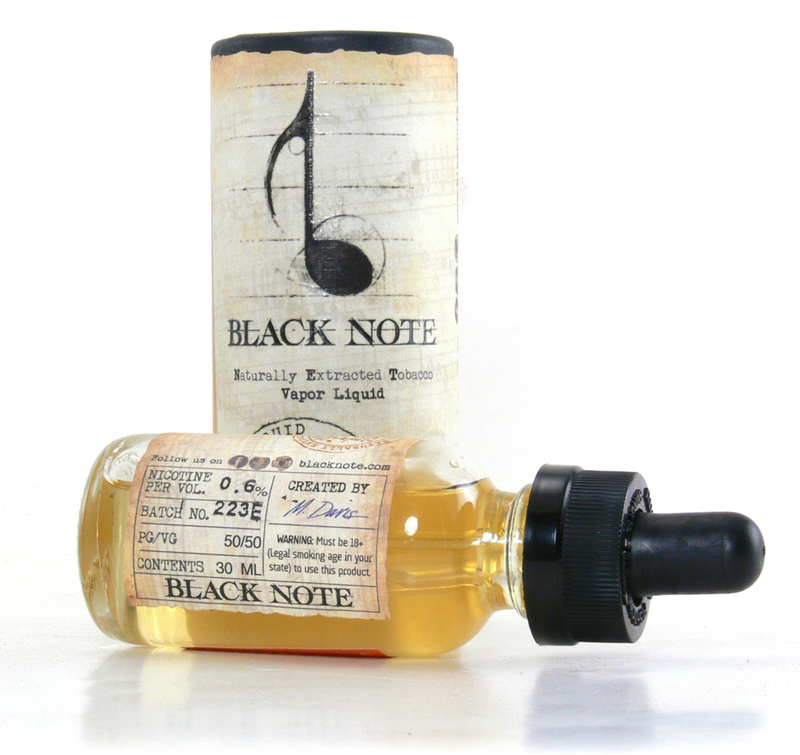 Black Note describes Adagio as a sweet and mildly spicy Havana tobacco. I found it to have an unmistakable Havana flavor, with the sweet and spicy components an almost unnoticeable undertone. I have experimented with a lot of tobacco e-liquid flavors and this is the closest to a real cigar experience that I’ve ever had. The exhale is particularly pleasing, with a beautiful cigar aroma without the burnt taste of actual smoke. The flavor is quite mild on this one, but it seems to allow the genuine smoky cigar flavor to come through in a way that a more potent mix might not. Like a good cigar, Adagio seems better suited to vaping when it can be attentively enjoyed rather than an all day vape. If I were to pick one Black Note flavor to offer to a new vaper switching from cigarettes, Legato may be it. It has a rich, full bodied flavor that dispenses with complexities to offer an experience that seems closer to smoking than many of the other flavors. And that’s not a bad thing. Particularly for tobacco e-liquid lovers, a blend that focuses on the smoky, slightly nutty tobacco flavor above all else is a welcome treat. While it comes across as slightly strong in those respects, it is that slight harshness that makes it seem a little more like a cigarette than the average vape. The exhale in particular seems uncannily like something that had a match at its start. Bravura is one of the more flavorful e-liquids in the Black Note lineup. It is billed as a Perique blend with “rich undertones of the finest red burley” and “deep, earthy notes with a subtle hints of fruit.” I really can’t do much better than that description, as it seems spot-on to me. Bravura immediately fills your senses with an earthy, almost musty flavor that is then tempered by a slight fruity addition. The result is an incredibly full bodied vape that still manages not to overwhelm with excessive flavoring. This one could easily be a good replacement for a cigarette while still achieving a complexity fit for a connoisseur. Cadenza is described as a Basma blend and this is unfortunately a tobacco that I am completely unfamiliar with. What I can say is that the aromatic and spicy notes that are described are quite accurate. Those notes seem to come to the forefront in this eliquid and make it quite an interesting vape. In fact, it’s interesting to the point that I’m not sure if it would make a great all-day vape. Relax with a glass of wine, however and it is a wonderful companion. As one would expect from an aromatic tobacco, the exhale is extremely rich and full of the spicy flavor of this one. Like Legato, Forte is a Burley blend, but is slightly milder, smoother and perhaps a little sweeter. It is another in the Black Note line that can easily bring back thoughts of smoking a cigarette. It’s a no apologies tobacco experience. The exhale is somewhat less powerful than some of the other Black Note offerings, but manages to add a hint of smokiness to the smoothness. Besides a few early years, I was never really a menthol smoker and have never been much for menthol vapes. With that said, Solo is an enjoyable vape. It is the only menthol offering in the Black Note lineup, but you can tell that the focus on the tobacco flavor is till there. Especially for a typically non-menthol vaper, the mint comes on hard and strong and is there throughout the vape and the exhale. Solo becomes more interesting as you begin to discover the Virginia tobacco that in this case is more of an undertone. It comes through in both the flavor and the exhale. Although the number of menthol e-liquids that I’ve tried is limited, this one definitely provides a richer tobacco experience than most. I am going to be sad when these bottles are empty, and several of them are already well on their way there. After a couple of weeks of enjoying Black Note e-liquids, I have to say that they are well beyond comparison to most e-liquids out there. There are a number of other good naturally extracted e-liquids on the market, but these from Black Note have been smoother and more satisfying than any I’ve tried. 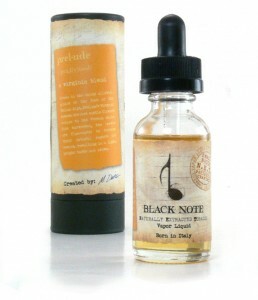 As with most things, high quality comes at a cost, and Black Note e-liquids are no exception. At $29.99 for a 30ml bottle, they are at the high end of e-liquid pricing. I’d say they’re worth the cost, though, and I simply have not found an inexpensive juice with this type of refinement. Free shipping and a free bottle for recycling 5 tubes do make them a better deal. Regardless, I don’t hesitate to recommend Black Note to any tobacco lover.